"Venerable product is still the best in class"
The ease of constructing maps was and is Intermapper's best feature. I've been using Intermapper since the original Dartware release, and this has always been the reason I've stuck with it. The new release I just upgraded retains a high degree of compatibility with older versions, but adds important new capabilities like probe groups the original didn't have. First, I'm content with the functionality Intermapper provides in regards to defining networks, arranging maps, and so on. I haven't gotten deep enough into defining custom probes or creating elaborate charts to comment on that yet. That said, it would be cool if the map arrangement facilities were extended to provide some automatic alignment facilities in the style of Omnigraffle or Visio. Another, more serious issue is that sometimes editing probe settings either crashes my VNC sessions or the whole Mac OS X server (in the kernel_task). Now, I realize that this is not Intermapper's fault - there's no way an application should be able to crash the windowing system - but realistically, Apple is unlikely to fix this so it would sure be helpful if Intermapper could avoid doing whatever causes this. I use it for basic network management, capacity planning, and server availability checks. "Review of Intermapper Monitoring software"
Intermapper is a great easy to use monitoring tool that allows us the user to effectively monitor any size network. Great notification feature with various options for delaying or modifying how outages and critical devices get reported. Inetermapper also has very good charting options that allow you to chart single and multiple interfaces on a chart. Again ample options for customization. A challenge when using Intermapper is it a bit cumbersome creating customized charts. For some reason when moving/combining multiple interfaces onto one chart it refuses to move. Sometimes finding the proper probe for some devices is also challenging. For monitoring network devices and wireless bridges this product works. Hi Raymond. Thank you so much for your review. It’s awesome to hear that you’re benefitting from Intermapper’s flexible monitoring, as well as the option to share access with multiple users. We’ll soon be revamping our user-contributed probes library, which should make it easier for you to find the probes you need and create your own. I’m sorry to hear you’re having trouble creating customized charts. You should be able to easily drag multiple data charts into one chart. Try changing the prefix/scale of the graph to make it smaller. The data may be there; it just may not be large enough to show. If you’re still having issues, our support team is happy to help. "delivers but buggy and terrible license schema"
Mac based software, easy to use UX to add objects to monitor, etc. Elaborate probes and good alerting functionality. The visuals of maps really help you identify where there are issues on the network, with the colors doing most of the talking. Outdated product, has not been refreshed in years, no smartphone apps, difficult to use web interface, old bugs that the company is taking years to fix or ignores and worse of all, an archaic licensing system that is linked to some unknown HW MAC IDs, which if they change or if you need a new laptop, you have to send an email and wait to get a new license key. No self serve license management or online license check. Really outdated and annoying, especially when you need it most. Also, you have to do your own probes, even for super popular brands. Trial it inside out, know that this is a mature product, but because of it, it's also not evolving and being refreshed. Monitoring the network and identifying where there are real-time or chronic issues. Intermapper is very easy to set up with a clean user interface, It allows you to set up probe groups so you can monitor the same device for multiple things: WMI disk size, SNMP response, http traffic, etc. Sometimes setting up the same settings for multiple devices can be tedious. Once you're finished, it's easy to maintain, but that initial setup is a lot of work. I think bulk operations would make Intermapper a lot better. For example, if I want to set up the same type of probe with the same credentials on ten different devices, that can be a lot of work. Having the ability to roll that out with a bulk operation would make life a lot easier. The way we back up the database is also a little clunky. I think a backup utility that would allow us to back up everything we need into one zip file would be great. We were tired of finding out that a site was down or that we were running low on disk space after an issue was reported from an end-user. Now we can be proactive with issues and we know about them before they turn into something significant. It has decreased our downtime because we catch the potential issue before it becomes one. Very quick and easy to setup a map of your network. The first time you let InterMapper automatically discover your network, it is quite breathtaking. There is no other software package that can do this a well as InterMapper. The historical data on your network is stored very efficiently, you can quickly reference uptime on devices as well as bandwidth usage and other specifics on your server/router/switch use. If you don't want to use the map view, the list view is kind of clunky. But why use the list view? Get demo first, do a scan of your network, then remove all but the relevant monitoring points to determine your license requirements. You really don't need to monitor every little thing to get a useful and accurate map. For example I will map a router, then a device or 2 on the other side of the router to show it's working. Hi Jim. Thank you so much for your thoughtful review. I’m glad you’ve found the maps valuable. And I love hearing that you’re publicly displaying your maps for others in the organization to see. As far as the list view goes, any time you want to make mass updates to your maps, the list view would be the way to do that. It gives you options if you want to make changes to probes, thresholds, policies, etc., on a mass scale, and you can sort by the specific criteria you’re interested in. It’s pretty straightforward. If there’s any other criteria you would like to be able to sort by in that view, you can contact our support team at support.intermapper@helpsystems.com. Thanks again for reviewing Intermapper! We use InterMapper to monitor our internal network. I love that it sends me alerts when there is a switch or network down. The Network "Flows" licence is awesome as well to see traffic flow when trying to troubleshoot a network issue. I also like that you can have a bunch f different maps I have 5-8 different maps that I monitor. I needed a way to monitor my network will little effort and lots of info and this product delivers! I also really enjoy the alert and audio notifications that it gives you! "Intermapper is the main tool I use for looking at the network and managing my routers and switches." I like the ability to set up a double click action on devices. That way I can log right in to routers and switches with Putty or open a webpage for a UPS or RDP to a server. I also like the charts. I use them to look at bandwidth utilization on WAN links over time. I'm not crazy about flows as they just show you top N. I also can't always find a probe to monitor SNMP on certain devices. Great tool for managing your network. Just get it. It's reasonably priced too! I get a quick and dirty view of problem devices on the network. I can spot these devices and fix them many times before the users even notice. I can also use the charts to prove that I might need more bandwidth at certain locations. "Made for networking not help desk "
I like the status windows and how it can be configured for almost anything. Monitoring PC's and printers on it. There are lots of windows packages with lots of useful data. Also like how the maps can make it clear where things are for new help desk staff. like how I can integrate it with other software. The online help is very responsive, however not always the most useful. Some are great and will work with you until the issue is fully solved. Where as others will just send a generic reply and leave you never to be heard from again. Dislike how much we need to configure ourselves. Feel like there should be a little more control built in so that the monitoring us more useful .I.e wake over LAN. If it can't read while asleep whats the point. I do wish the standard status window was a little more appealing. As if this was to be left open in at the front of a help desk it would be a little nicer to show more than a grey box. Be prepared to invest some time to make it work for your use, its a great program will just take time and integration to get to a point where it can be used on a daily basis. a Lot of monitoring, such as paper levels in printers and status of PC's and software installed. Its good for this, but not great, am having to do a lot of work ot make it useful for monitoring from a help desk. Thank you for your thoughtful review! It’s great to hear positive feedback on your experience with Intermapper, especially with teaching new help desk staff where things are located. We are making updates to the status window and look forward to sharing those with you in upcoming releases. Intermapper’s focus is infrastructure monitoring, while Wake-on-LAN is more of a troubleshooting tool. If you want to troubleshoot potential issues with Intermapper, you can create a helper application that launches from within the map. You’ll find more information about how to do this in the user guide. Our support team strives to answer questions in a timely manner, so I’m sorry to hear you haven’t always been happy with the level of support you’ve received. If you have any outstanding, please do get in touch with our support team directly so we can help you resolve them. "Intermapper - Was great, worried about its future"
I like it's small footprint and the fact that, when it works, it's our go-to product for troubleshooting our network. The current builds of Intermapper, 6.0 and up, have been nothing but buggy and I have spent hours trying to get it back to a functional level. Once tech support told me roll things back, I was able to find the hidden interface options that never really existed in previous builds. The new company running intermapper have been adding features that we don't really need and it's been impacting our systems management. Check everything out. There are hidden windows that don't agree with other settings pages. When it works, it works wonderfully. As I said, there seems to be some growing pains. I found hidden windows that support didn't seem to know about. When we were getting alerts on interfaces we didn't want to monitor, support didn't tell me how to turn off the alerts, instead, they told me how to adjust delay timers so the noise would go away. I ultimately figured out how to fix it on my own. Additionally, I've been told on several occasions that the "next update will fix it all," only to have worse bugs. It's a shame because up until version 6, Intermapper was our "old reliable." Now it's just noise and frustration. Monitoring our networks and servers via SNMP probes is simple (at least it was pre-6.0). Thanks for leaving an honest review. I’m sorry to hear you’ve had trouble and that recent releases haven’t met your needs. We’re constantly working to improve Intermapper. 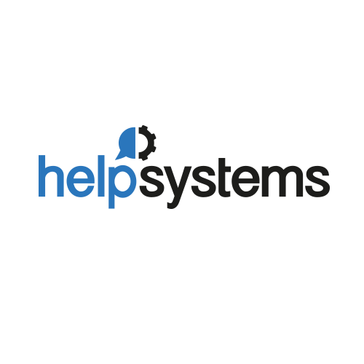 If you have unresolved support issues, please do contact support if you haven’t already done so at support.intermapper@helpsystems.com. Our businesses have grown-up around Intermapper, and its features have kept pace. You can quickly and easily set-up powerful monitoring of networks and systems -- using both polling and trapping. You can make it as simple or as detailed as you want. There are many out-of-the-box probes and you can create your own as well. I wish that more Intermapper users would contribute their home-made probes and icons to the community. I think that others could benefit from their ideas and work. Best bang for the buck. Intermapper can process information from many other industry monitoring systems (Big Brother, Nagios, etc), so you can leverage their capabilities for considerably less investment in time and money. We monitor many disparate networks across our dozen divisions -- from typical network and server gear to industry specific devices. We are able to spot the problems proactively and notify the correct teams. Hi Paul. Thanks for being a long-term customer! It’s great to hear you’ve stayed with Intermapper as your business has grown over the years. We agree that the ability to share probes is a huge benefit for the Intermapper community. Actually, we plan to launch a newly-designed probes library this year that will make it easier to find the probe you need, as well as submit a probe for others to use. Stay tuned. "Its our main Alerting and Network Monitoring System"
We like that we are able to build different maps and have live views of our critical networks & systems, providing real time alerts. We like the helpers that allow us to quickly access systems using our 3rd party tools. We wish it was easier to add more useful details to the alerts about the system when there are issues so that the tech who receives the alerts can be quickly dispatched. For anyone looking to monitor their network routers and switches, this is a great tool to keep in mind if you don't already have one. I would recommend you try it out and see how it will help you. We are monitoring over 900 devices with Intermapper and we are able to do this with a handfull of techs and engineers. We are looking for potential issues and real time events affecting business driven applications. Thank you for your kind review. I’m so glad you are successfully monitoring your network with Intermapper. We appreciate your feedback about alerts. If you wish to add more details about a specific alert for your technicians, you do have the ability to add free-form text within the notifier text field. You can also drag-and-drop smart tags to automatically pull in whatever information you want to see in the alert to help technicians resolve issues more efficiently. If you have questions, our user guide is a good resource. "Excelent proactive tool to monitor and prevent issues." The feature of have the intermapper server software installed in any currently used operating system like macos, linux and windows. The feature of have a "live" map of the network representing the use (and probably abuse in some cases) of the subnets or port of critical servers or services in the company (LAN and WAN wise). The feature to create different maps to represent different areas of the company communications (be that as networks, servers, cameras, internet, etc.) and to establish permission to allow who and what can be seen by users. One of the main features we loved is to "see" live traffic in the maps, but this feature is no possible to see in the web server map published site. Best solution to monitor multiple devices (network, servers, services). Thank you for your review! I’m happy to hear that you’d recommend Intermapper to others, and that you’re mapping different equipment and areas of your network. With your comment about live traffic, the web version is a more static version of the map, so that’s why it doesn’t contain live traffic. We can look at it as a possible enhancement request if it’s something that would be valuable to have, though. "Network IT professional who uses intermapper"
"Hello Intermapper My Old Friend"
The Intermapper live maps are infinitely better than any static Visio diagram, they are dynamically updated and show the network topology as "it is" as apposed to how it was "designed". Intermapper is capable of display a large amount of information in an intuitive form on a small piece of screen real estate. In our office it is often the centerpiece of design and planning conversations. Changes to the network are visible in 30 seconds resulting in fast trouble diagnosis. Additionally, the Flows component allows for layer 4 traffic identification to determine which machines and applications are consuming bandwidth. User permissions must be set per map, there is way to group users but no way to group maps so if you have many users and many maps with different security needs it can be extremely difficult to keep the permissions straight. This product aids in troubleshooting network issues quickly. Before the phone rings or a trouble ticket is created, our staff is alerted to any issue by Intermapper's notification, emails and/or text messages. In one glance Intermapper answers the first 10 questions that a network admin would ask when trouble arises. The Flows component is capable of generating easy to read PDF bandwidth reports that can be handed directly to management to drive decision making. "Intermapper Network Monitoring - cheap effective way to monitor your entire network with SNMP "
I am able to monitor my entire enterprise network...over 650 switches and routers effectively. Have different MIB traps that allow me to see many different aspects of the environment. Many mib coders are writing new traps for different equipment so there is something available for newer platforms. I am unable to monitor the Link connections itself. I would like to be able to monitor different traffic on a link between switches, but have yet to find a Mib that will allow me to do so. I am able to be notified quickly and effectively of network issues. As a group we are able to respond to network outages quicker and better. "Intermapper is the first tool I deploy at every job I go into"
Live graphical interface with WYSIWYG style live maps has saved me from updating dated VISIO diagrams. I can spot and resolve Layer 2 network problems using Intermapper at a much quicker pace than with any other tool I've used. Intermapper has improved over the years. They've added a queriable database for SNMP data as well as Netflow. I wish they could add more features to the Netflow component so that you can query data in a more robust fashion. Intermapper is my primary network monitoring tool and is always my first go to point for resolving issues. Its visual, just load it on a PC and monitor your entire network visually. Or get it setup to email you if something goes wrong. You can customize your alerts to up/down or by CPU. Memory, or Network usage and you set the warning points. Not much to dislike, sometimes it can have problems that an update fixes but thats the same with any software. You can configure it to fit your needs. I like the alerts I get day and night so I don't have to monitor my servers any other way. I can view my network traffic and health by just looking at it visually. "Good but needs to be more DevOps focused"
Intermapper has come a long way, but it's main feature IMHO are the maps. Although they are manually configured (realistically), they can be nice and are a much cheaper alternative to things like OpenView etc. The pricing model is almost a deal killer in a large-scale production operations environment. Since you need to pay full-price for every new instance of the software, it makes testing/QA/deployment environments difficult to scale. Commit to spending some cash on multiple instances if you need any kind of development environment. It does a good job at visualization and we have it up on the SOC front wall. Customers like it a lot. "Convenient tool to use for network management and overview"
The graphical user interface is easy to navigate and allows network administrators to maintain an organized map of their network infrastructure. It is especially helpful when used in conjunction with firewall applications and makes creation and maintenance of firewall access rules much simpler to do. The ability to monitor hosts and/or ports and receive alerts when issues are detected is also essential for services where uptime and availability is crucial. The map-view interface is a bit limiting for large virtual networks with several VLANs and appears cluttered. At times, certain graphics may be missing and make it looks as if a map is incomplete, when in actual fact it is. The trial version of the product provides a good representation of the features and functions of the fully licensed version, which is a risk-free opportunity to observe the benefits of the software and determine if it's a suitable network management tool for a company or business to use. Intermapper is extremely useful when creating new VLANs as it allows administrators to view, graphically, relationships between different VLANs and maintains a detailed database of a company's network infrastructure, which is especially important in environments with many virtual networks. While it is a powerful tool to maintain and/or grow a company's network infrastructure, it is also beneficial for IT personnel that do not directly perform network administrative work; it provides a clean and easy-to-use platform to understand networking aspects and helps bridge the gap between various IT groups and a dedicated network team. "Great program for monitoring server uptime"
The software is easy to setup and configure for automatic alerts. The Flows add-in for InterMapper is great for digging into traffic. It took me a while to configure the smtp relay, but most of the issue was on my end. It is hard to go wrong with Intermapper. You get great value for the price of the software, and support has been responsive when needed. We know when we have server outages or network issues before it is reported by users. This has helped greatly on systems that don't get accessed often and keeps our users downtime to a minimum. "Intermapper is the best network/system monitoring product for the money." InterMapper has wonderful flexibility and along with unmatched capability. I've never found anything that I couldn't do with InterMapper so far. The automatic network detection and scanning functionality isn't great, although it has improved significantly over the last few releases. The java underneath the client has issues sometimes if your screen layout changes. InterMapper provides us with up/down notifications, service/resource status and resource utilization tracking(with the reporting and netflow collector options). All of this is highly configurable and you can tune each map for a specific audience, high level summaries for the execs, quick outage detection for Ops and all the gory details for the engineers. Hi Jeff. We love hearing reviews like this. It’s great that you’re taking advantage of Intermapper’s flexibility with mapping and alerting. We continue to make product enhancements to improve the quality of our scanning and user experience. Please do let us know if there are specific issues you’re having that we can help resolve. Very useful in monitoring network with minimum effort. Packaged with a variety of probes including ping and SNMP among others. It displays the status of devices and servers in the network giving realtime feedback. It supports alarms for devices that have 'disappeared' from network and you can receive alerts via email or script execution. It can also be configured to display graphs of performance data which can help in identifying trends on your network. This product is useful for my particular needs and is quite effective as is being used. Access to data - real time identification of problems/bottlenecks and solving these issues ensuring that workers have reliable access to relevant data during working hours. Thank you so much for your review, Gopi. I’m so glad to hear Intermapper is helping you identify and solve problems in real time. We appreciate your business! "Good product, and good customer service. " For those that want service monitoring, but don't want to deal with nagios, or zabbix, this is definitely a good product. Also has probes that neither of those other options have. Cost. The feeling that I when I request features they never seem to get implemented. If you're looking to start service monitoring, I would suggest starting with a free product, unless you know you want a GUI to do all your management. We've been using Intermapper for years, and the cost of switching at this time is just too high. Intermapper is a really handy and useful product. You can monitor just about anything connected to the network, and it's very intuitive to get basic maps set up. We've had trouble getting netflows to work properly and support kind of dropped the ball with helping us. Also, the documentation of Intermapper can be lacking at times. Getting basic things set up is simple and easy, but getting deeper into probes, linking maps, and working with devices can be confusing. Intermapper gives us eyes onto the whole physical network. With thousands of devices to monitor it's a quick and easy way to see them all. Thanks for leaving us a review. I’m glad you’re finding value in the visibility Intermapper gives you. I’m sorry to hear you’ve had issues configuring NetFlow. If you are still having trouble, you can re-connect with our support team at support.intermapper@helpsystems.com. Please do let us know if there are any particular topics you would like additional documentation on as well. "Nice graphic overview of networks and hosts, good notifications, and flexible"
IM is flexible - you can use as many or as few of its features as you like. While I only use a small subset, it works extremely well for those things I do with it. Redrawing on window resize could be better - but then I'm running the client on a truly ancient machine ;-). "Intermapper for best topology representation of client network"
Alarm indications on node icons and traffic flow between the nodes. When we add the subnet for larger network, the topology builds in such a way that we are unable to design it properly and it consumes more our time in re-arranging it. We have around 35K devices of our client but we dint find the best way to represent all this using intermapper! also it would be great if you can provide us the dashboard kind of templates it will be easy for us to choose the best suits for our client. Couple of dashboards to monitor the critical links. Hi, and thank you so much for your helpful review. To allow for more controlled scans, recent releases do give you the ability to just scan a specific IP and bring in devices one subset at a time. We encourage you to try this, as it does make scans faster and easier to control. We don’t have templates in the traditional sense of the word, but if the infrastructure and devices are similar, you can duplicate maps and just update the IP addresses so another client can make use of them. Super easy to use and map out your network in a Layer 2 format, showing live flows on a map is a incredible monitoring tool. Thank you so much for your review! It’s great that you’ve simplified monitoring for your operations team with Intermapper. In terms of interface polling, we are working to ensure that the product can fully support all interface types. Intermapper 6 does give you the ability to monitor interfaces and set up alerts for their performance as well. If you have more concerns here, please get in touch with our support team, and they can help. Ease of Use and It's so precise ! and We could NOT find the cause for the issue as our network stack is complex. We were using couple of traditional motioning frameworks, But NO use with that. and It helped us to find the cause for network issue. It's an awesome network utility and every company must have it. I think , The pricing is negative side ! apart from that, everything is great. I personally love this product. Intermapper helped us to find the cause for network issue. "Pretty good but still clunky..."
I like being able to visually display maps and networks in a way that can be presented on a TV or large format display. Also being able to write custom probes which utilize bash or any other common language to evaluate server and software health. The interface is quite click intensive and can be quite troublesome in its behaviour. Sometimes one cannot be 100% sure if the notifications will be sent correctly or as they are expected. Maintaining 99.999% uptime using Intermapper to provide visibility into our software and servers. Thank you so much for your thoughtful review and feedback. We hear a lot of customers who like to present their maps on a large display—I’m glad you’ve found value in that. We continually update the interface to give users the best experience possible. If you have more suggestions, you can always share them with our support team at support.intermapper@helpsystems.com. We would really like if the product has more flexible pricing. It has many probes from a wide variety of manufacturers. Both the client and the server can be installed on a wide variety of operating systems. In some versions of the software the server app consumed many resources. I'd like it would have application for mobile devices. It is a very simple tool to install and start up. The management is very friendly. Mainly I have used to detect saturations in the Internet lines and detect the fall of devices before customers. Thank you so much for your review. I’m glad you’ve had a positive experience with our team, and found Intermapper to be an easy-to-use tool. In terms of the resource issues you’ve mentioned, we’ve looked to address the resource issues in our latest version of the software. This should be resolved. We don’t have a mobile application at this time, but you can view maps on a mobile web browser. "Essential birds-eye view of IT infrastrcture and services." I love the ability to nest maps inside of other maps. We love having the organization-wide panel up, so we can see across-the-board where we have issues, both new and acknowledged-but-uresolved alike. We can then drill down into nested maps to get more details. Also like that the maps have flexibility. We have maps for sites and their hardware / infrastructure, but then also have service maps so we can tell if an application is impacted. Also the probes are very flexible. The netFlow component of Intermapper isn't as refined as some of its competitors. We use Intermapper for monitoring and alerting. It allows us to proactively address outages before they become a big issue for our userbase. Thank you so much for your review and willingness to recommend Intermapper! I’m happy to hear you’re getting the visibility you need from your Intermapper maps. We’re continuously improving Intermapper Flows for better NetFlow analysis. If you have specific suggestions on what you would like to see, please feel free to share your feedback at support.intermapper@helpsystems.com. "Intermapper is a customizable monitoring solution"
Ability to display items on a map, customization alarm levels, and custom probes. There is no mobile client and the interface has some issues when clicking multiple notifier boxes. 24/7 monitoring of hardware and software with built-in and custom built probes. Hi Anton. Thanks for your review. I’m glad you’ve made use of probes to monitor your IT infrastructure 24/7. You are correct that we don’t have a mobile application at this time, but you can view your maps on a mobile web browser. We are working to improve the user interface. If you have more specific suggestions on the ways you would like to see it improved, please share that with our support team. Thanks again. "Best product to map and monitor your network in real time." Maps your network easily. Shows real time network traffic. Provides alerts. Can link maps together. Can use Intermapper Client or Web Gui. Used by other Education systems like Cenic. Great product to map out your network. Ive used other tools like Netbrain, Cisco Prime, Solarwinds. This is the best mapping tool out there. Real time monitoring of all our networks with alerts and notifications that can be customized. It would be helpful if there was a search feature when managing multiple servers. I would also like to see the licensing changed. We are able to manage thousands of sites. Trouble shooting is extremely easy with SNMP to all devices. "Intermapper user for ages and ages"
Intermapper is a tremendous tool that provides valuable network status at an entry level user skillset, and has deep capabilities for expansion and customization for the advanced users. Network monitoring at multiple layers for a fraction of the cost of large scale tools. Exceptional monitoring product that uses a variety of probe types such as SNMP and WMI to monitor devices on the network. We currently use Intermapper to activly monitor our network, allowing us to act proactively instead of re-actively to changes. Thank you so much for your review! It’s great to hear Intermapper is helping you respond more proactively to network events. We will be releasing a new probes library soon where you can find and download probes from other Intermapper users. We hope this will make it easier to find the probe you need, and create new ones as well. "Great Network and troubleshooting tool!" Intermapper mapping abilities are second to none! Ability to see live traffic on the maps is a huge time saver and provides a great insight in to the network and whats is going on where. Some new versions have inconsistencies, but intermapper support seems to be aware and are working on it. Great product ! I would surely recommend to others and have been for years. Ability to visuals traffic has been great. Seeing bottlenecks live is a big benefit. 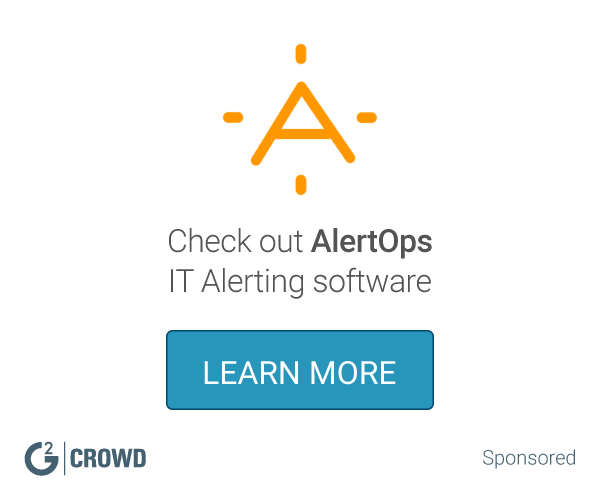 Alerting is also very good ! How you are able to customize the maps to your liking. You are also able to add many maps. It has a little learning curve, and the interface is not that user friendly for a novice. I would recommend this product to anyone who would want to be on top of the network outtages they may face. Managing all of our sites and the network outages. We are able to see the problems faster. We are solving many problems on why we have outtages from our ISPS. Network monitoring is really good and simple to setup. Ability to create new "probes" in pretty much any language and add them into the application. User interface is very out dated. The HTML it generates is also a bit outdated and it doesn't always render properly (refreshing the page usually solves this). Network and server status monitoring. I’m glad you’ve found Intermapper easy to set up and are benefitting from the ability to create your own probes. In terms of the user interface, we are working on it and are committed to making ongoing updates here. Thank you so much for your feedback. We don't use Intermapper for its traditional use. We simply have it monitor our sites for up/down/slow. It works well for this. There could be more options for how it will be displayed and more icons that will change color depending on status. We are able to visually see across the office the status of a plant. Hi Dan. It’s great to hear that Intermapper is working well for you. Thank you so much for your review. With mapping, you do have the option to upload icons of your choosing. As long as you follow the format of the files we allow per our product documentation, they should change color just like the ones built-in to the product. If you have other suggestions on what you’d like to see with display and icon options, please do contact our support team at support.intermapper@helpsystems.com. "Intermapper - I rely on it for constant network status"
I like best the notifications I receive via email for network conditions that may need my attention. What I dislike most is having to manually update changes in my network infrastructure. The business problem that I am solving is maintaining business continuity. The benefit that I have realized is quicker problem determination and resolution. Hi Gary. Thank you for leaving a review! I’m happy to hear that Intermapper is helping you maintain business continuity and resolve problems more quickly. In terms of configuration changes, we’re really not a network configuration management tool and don’t offer the ability to push out configuration changes to your network through Intermapper. Let us know if that’s not what you’re talking about here, and we can try to help. Ability to see node up/downs at a glance. I also like the right click helper apps when doing simple trouble shooting. It is a bit clunky when setting up new sites. Would also like a Netflow in conjunction. We are using it as a red light - green light monitoring tool. Thank you so much for your review. If you have more feedback on what specifically you’ve found to be clunky, please get in touch with our support team at support.intermapper@helpsystems.com, and they can help you out. "Have been using it for many years to monitor switch and server equipment." The ability to write custom probes and monitor the condition of the equipment, then alert staff when a failure occurs. Recent versions have some significant bugs in the GUI and with switch interface monitoring behavior. Trial the product before buying to ensure it meets your needs. We monitor for outages and other serious equipment failures, and alert the appropriate personnel. "Fantastic, affordable tool, a little bit behind in user interface"
It works! Reports, Flows and L2 are great modules. Not "enterprise" GUI, modules sometimes seem to be different applications (aren't they? ), maps are disconnected from each other. Eventual failures in layer 2 discovery and several in Mac OS client. Network, servers and Apps monitoring. Thank you so much for your review! It’s great to hear that you would recommend Intermapper to friends and colleagues. We are continually working to update and enhance Intermapper, and we do appreciate your feedback on areas you want us to improve. If you have any specific issues you’d like help with, you can always contact our support team at support.intermapper@helpsystems.com . "Great tool, terms have changed for the negative"
I love the visual representation of our networks. It is incredibly difficult to grab information from the database. It feels like the database functionality was bolted on as an afterthought and never fleshed out into a full feature. Being able to show our customers a visual representation of their network and realtime issues. "Intermapper is a great tool." Intermapper is easy to use even for those who have limited technical experience. It would be useful to have more tools in designing a coverage map. Strategic mapping of circuits is needed in order to make intermapper easily understandable. Consistent monitoring with notifications are perfect for our company. This program is fairly easy to use for anyone who would like a program with basic functionality. Lacks more detailed functionality that a larger telco may desire. We are able to do basic mapping of our network. Thank you so much for your review. I’m glad to hear you’ve found Intermapper to be easy to use. We always value feedback on what we can do to make Intermapper better. We do have many customers at telecommunications companies who use Intermapper, and if there are specific functions that would help you as a large telco provider, please do share that with us by contacting support.intermapper@helpsystems.com. "Could not live without this product!" Ability to customize maps and monitoring, very stable performance. The browser map is great, but wish the back-end wasn't based on Java. Also, hard on website to add capacity on-the-fly. Monitoring a K-12 network across multiple schools, ensuring optimum uptime and proactive problem troubleshooting before issues affect student learning. We have used this product for eight years, and I have used it across two jobs for nearly fifteen. Thank you so much for your positive review. We have a lot of customers in the education space. I’m so happy to hear that Intermapper has been your tool of choice for network monitoring in school settings. If you haven’t already, you can let our support team know some of your concerns so we can continue to improve Intermapper. Just email us at support.intermapper@helpsystems.com. It is not too expensive and the support team is ok.
Feel like I'm using windows 95 in 2017. The user experience could be improve a lot. Thank you for your honest review. We appreciate your feedback on the user experience. Our goal is to improve the user experience on an ongoing basis, and we are committed to making enhancements in this area in future releases. * We monitor all Intermapper reviews to prevent fraudulent reviews and keep review quality high. We do not post reviews by company employees or direct competitors. Validated reviews require the user to submit a screenshot of the product containing their user ID, in order to verify a user is an actual user of the product. Hi there! Are you looking to implement a solution like Intermapper?